At the time, “Reem” wasn’t too interested, but did go on record to say that he wouldn’t mind throwing leather against “The Predator” at the end of the year. 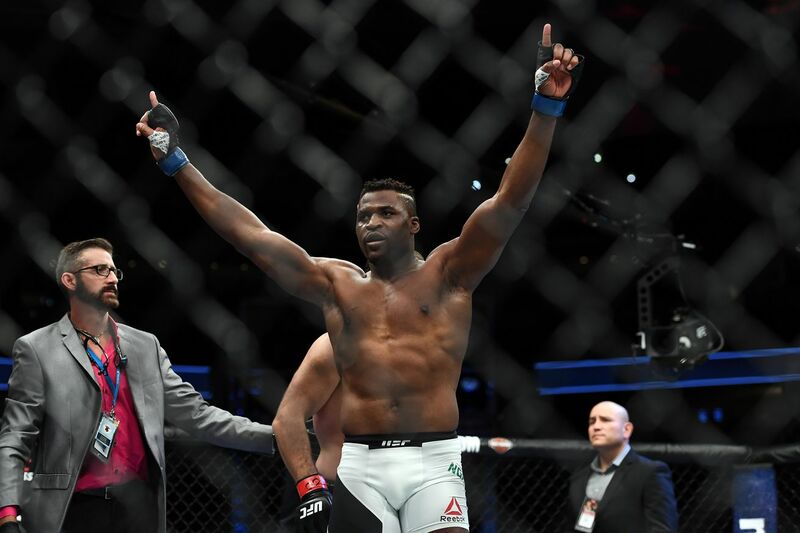 Ngannou, though, is ready to get back into the swing of things now, and he is currently targeting a title fight against division champion Stipe Miocic. “After JDS was pulled, all the top 15 was booked. The only one available was Overeem and he said he was injured,” said Francis during a recent interview on The MMA Hour. Ngannou was last seen beating the brakes off Andrei Arlovski in January at UFC on FOX 23 to score his ninth straight victory, fifth inside the Octagon. Currently ranked at No. 4, the only man in front of Ngannou not named Overeem or Fabricio Werdum with no fight lined up (or an injury) is Cain Velasquez, who still doesn’t have a clear timetable for a return. So, it only makes sense for Stipe and Francis to hook ‘em up until the rest of the division handles its business. I mean, it’s not like this is going to happen anytime soon, anyway.